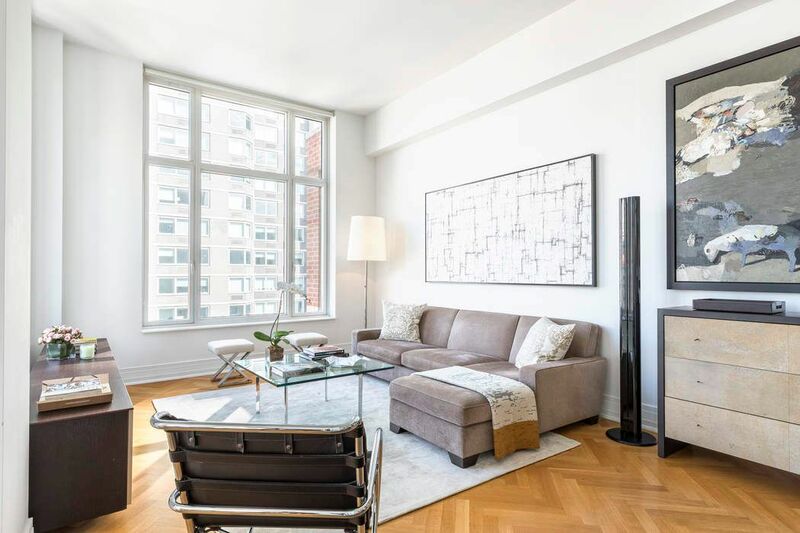 205 East 85th Street Apt 20D, New York, NY 10028 | Sotheby's International Realty, Inc.
$4,995,000 3 Bedrooms4 Full / 1 Partial Baths2,380 sq. ft. 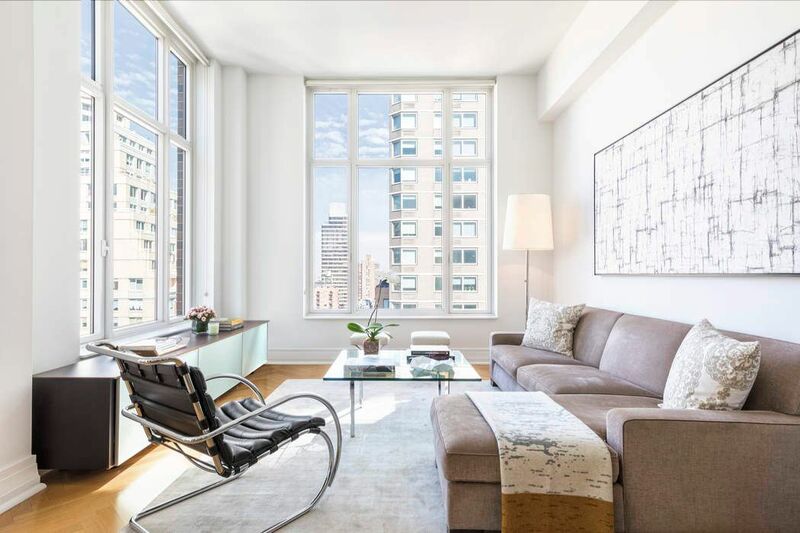 Rarely available, this spectacular home on the twentieth floor of the famed Brompton is a sunny retreat in the heart of the Upper East Side. With soaring 13-foot ceilings, 3 bedrooms plus a home office or fourth bedroom, all with en-suite baths, plus a powder room, the home was designed by world-renowned architect Robert A.M. Stern. 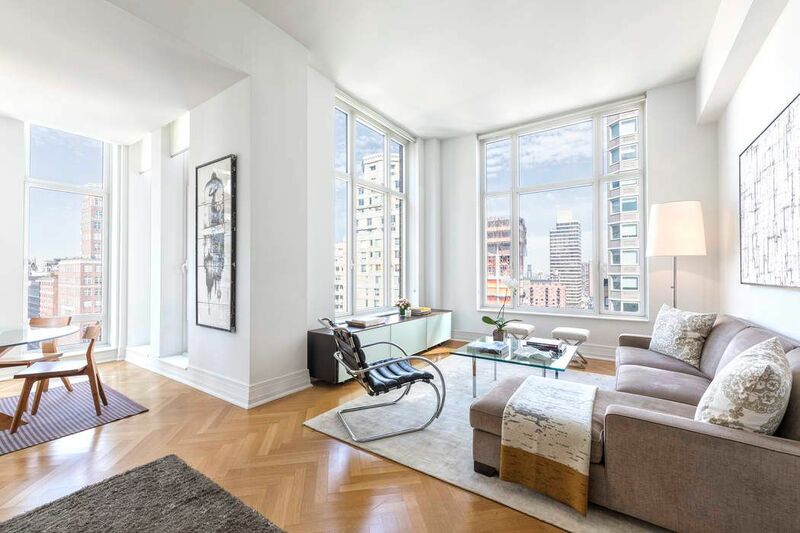 Oversized floor-to-ceiling windows with open city views, and herringbone Italian oak flooring throughout the 2,380 square-foot home create a modern, yet traditional feeling. Enter via a spacious entry foyer that leads to the open-plan, bright and airy living and dining areas. Lined with walls of glass and offering three exposures, the living space is bathed in sunlight throughout the entire day. Adjacent to the living and dining areas is the homes eat-in kitchen, outfitted with Corian countertops and maple cabinetry, and appliances such as Viking double stove & six-burner gas range, GE microwave, 48 Sub Zero refrigerator, Viking wine refrigerator, and Miele dishwasher. 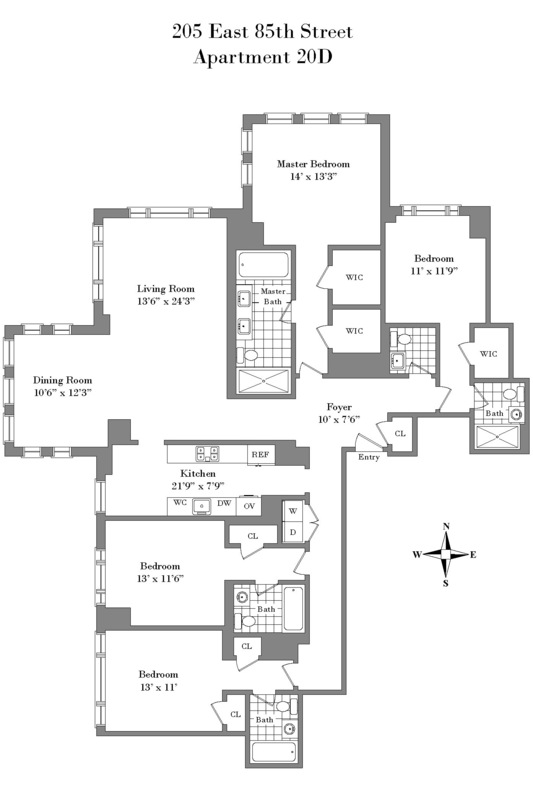 The corner master suite, accessed via its own corridor, is a private retreat. The suite features two custom California Closet walk-in closets and a spa-like marble bath with soaking tub, double vanity, and separate shower. The home offers three additional well-proportioned bedrooms, all of which are en suite. A utility area including a full-size Miele washer/dryer completes this rare and unique offering. 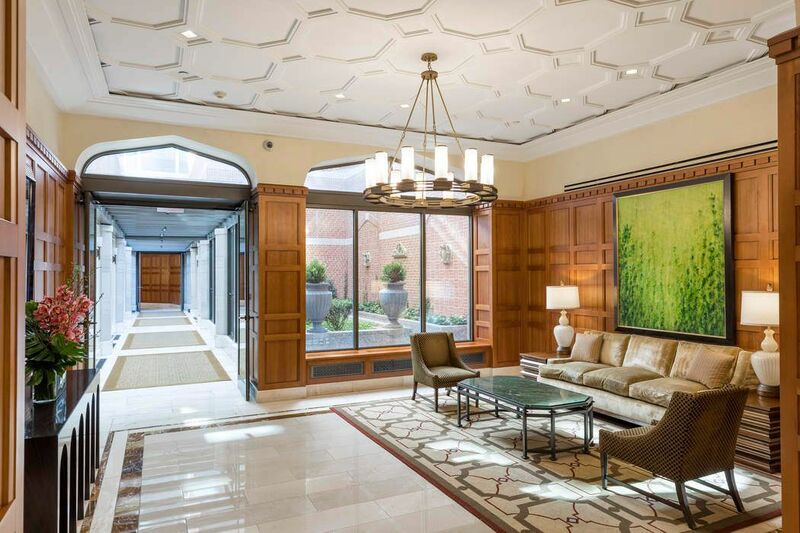 The Brompton is a highly coveted white-glove full service condominium, and offers amenities such as fitness center, children’s playroom and residents lounge. 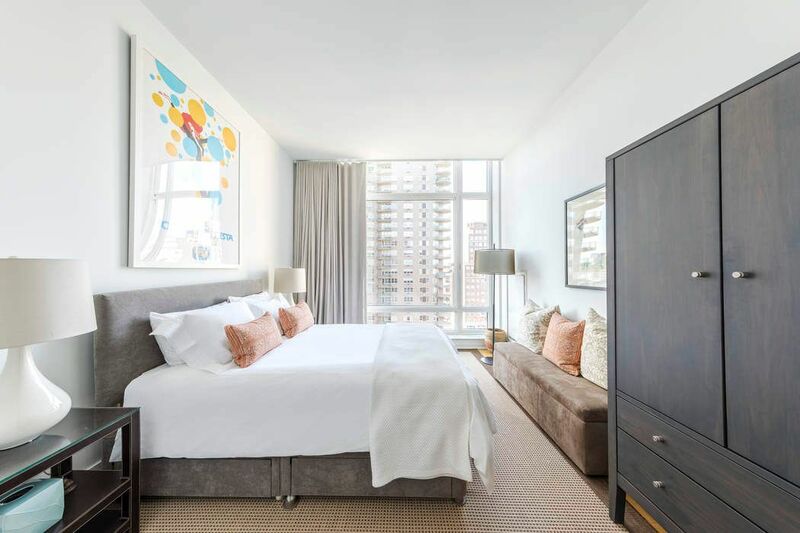 Located right next to Equinox with easy access to multiple transportation options, and near to world-class restaurants, high-end shopping, the best schools, museums, and Central Park. 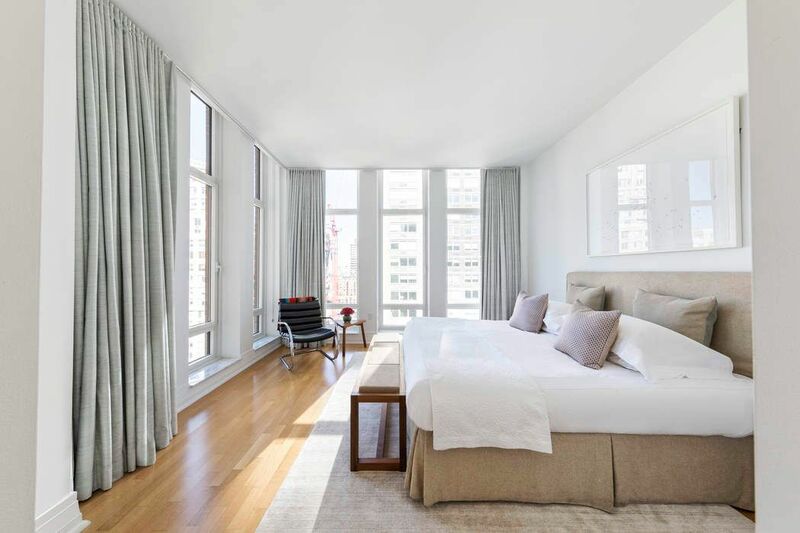 Rarely available, this spectacular home on the twentieth floor of the famed Brompton is a sunny retreat in the heart of the Upper East Side. 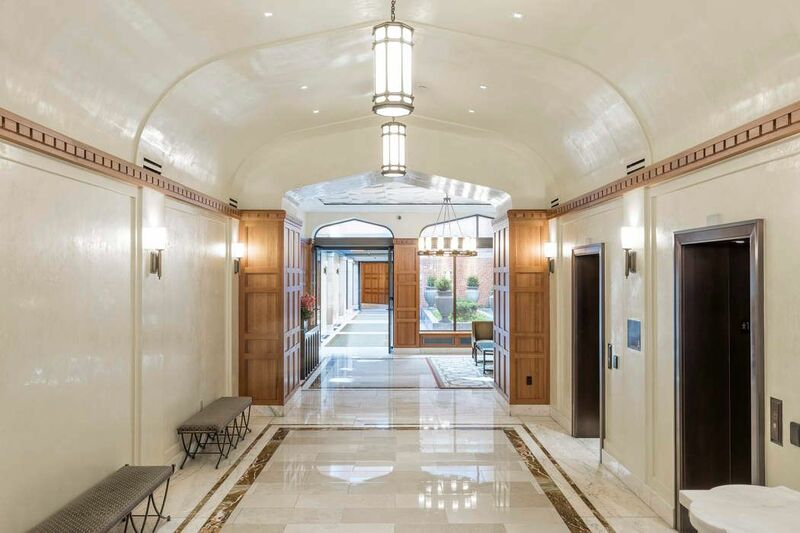 With soaring 13-foot ceilings, 3 bedrooms plus a home office or fourth bedroom, all with en-suite baths, plus a powder room, the home was designed by world-renowned architect Robert A.M. Stern. 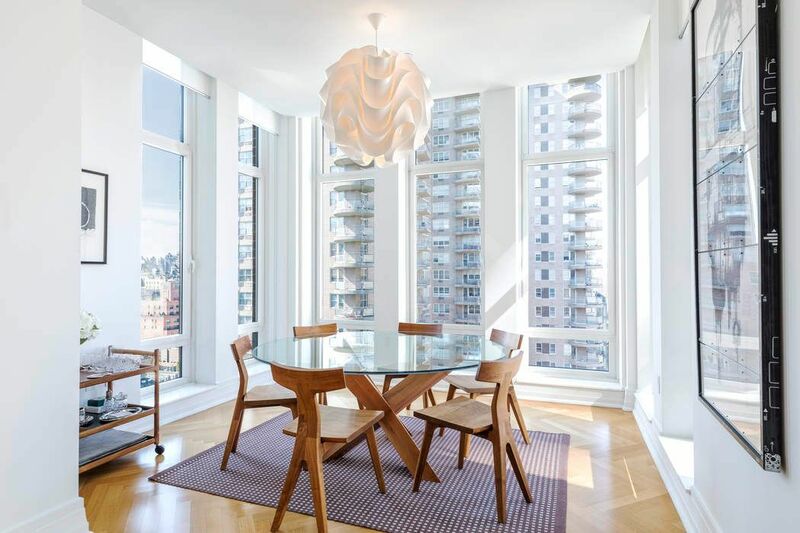 Oversized floor-to-ceiling windows with open city views, and herringbone Italian oak flooring throughout the 2,380 square-foot home create a modern, yet traditional feeling. Enter via a spacious entry foyer that leads to the open-plan, bright and airy living and dining areas. Lined with walls of glass and offering three exposures, the living space is bathed in sunlight throughout the entire day. 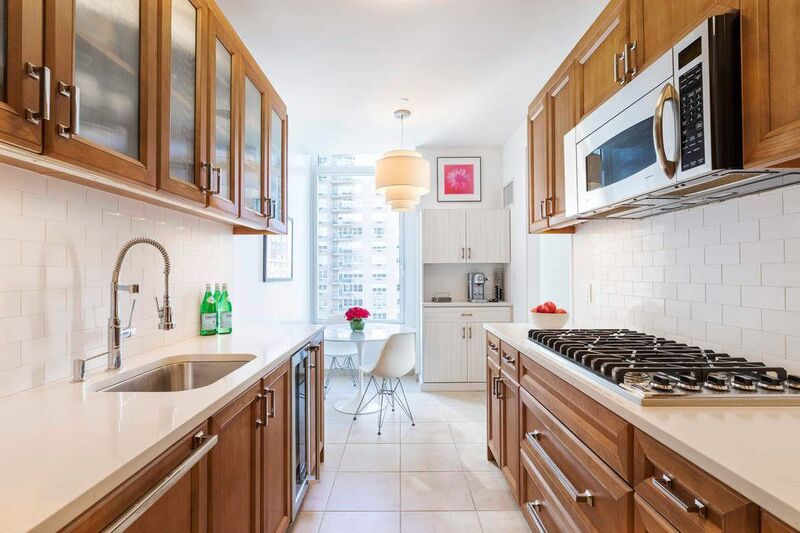 Adjacent to the living and dining areas is the homes eat-in kitchen, outfitted with Corian countertops and maple cabinetry, and appliances such as Viking double stove & six-burner gas range, GE microwave, 48 Sub Zero refrigerator, Viking wine refrigerator, and Miele dishwasher. The corner master suite, accessed via its own corridor, is a private retreat. 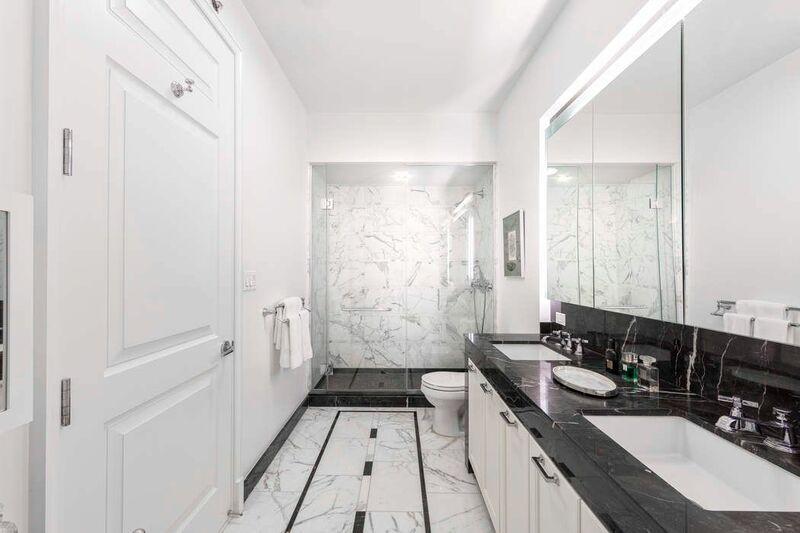 The suite features two custom California Closet walk-in closets and a spa-like marble bath with soaking tub, double vanity, and separate shower. The home offers three additional well-proportioned bedrooms, all of which are en suite. A utility area including a full-size Miele washer/dryer completes this rare and unique offering. 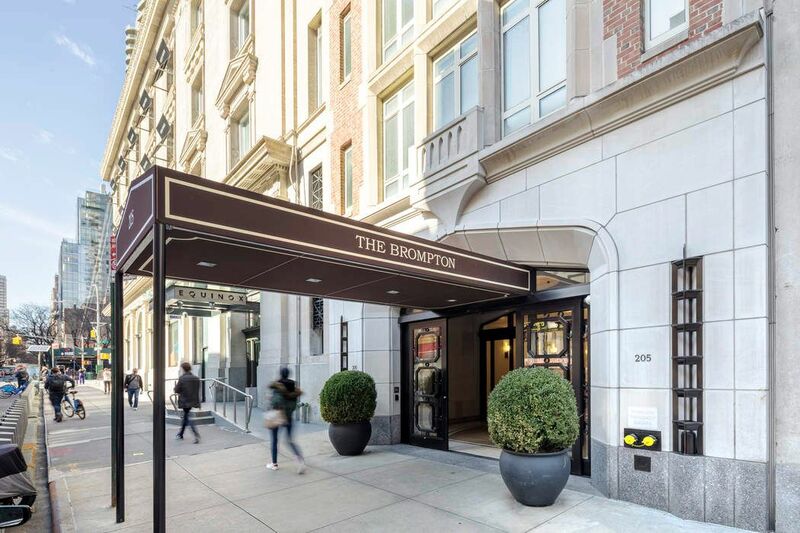 The Brompton is a highly coveted white-glove full service condominium, and offers amenities such as fitness center, children’s playroom and residents lounge. 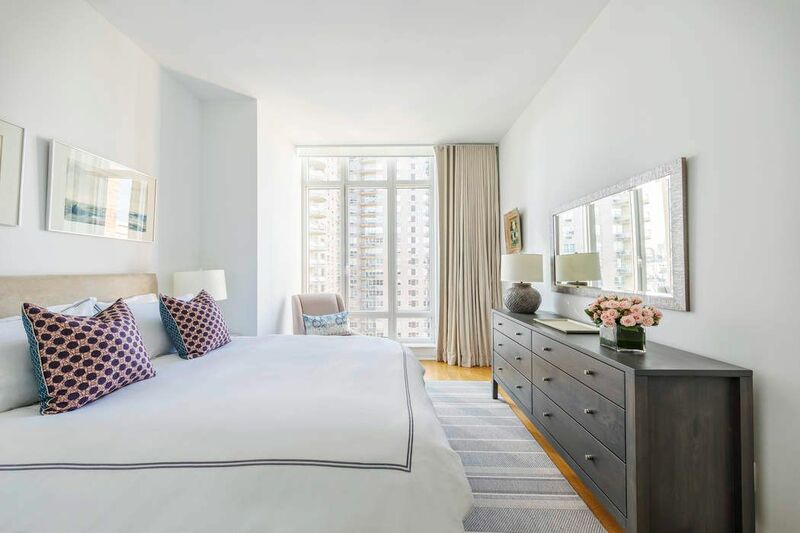 Located right next to Equinox with easy access to multiple transportation options, and near to world-class restaurants, high-end shopping, the best schools, museums, and Central Park.